1. 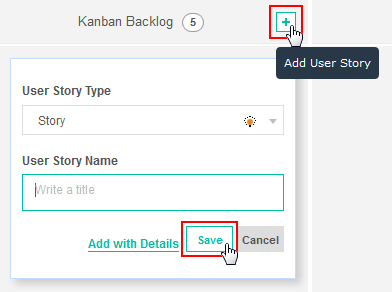 Click on add User Story button. Select type of user story to create a Story. Brief description for the User Story to identify the story by its name. Open User Story in edit mode to create detail User Story.